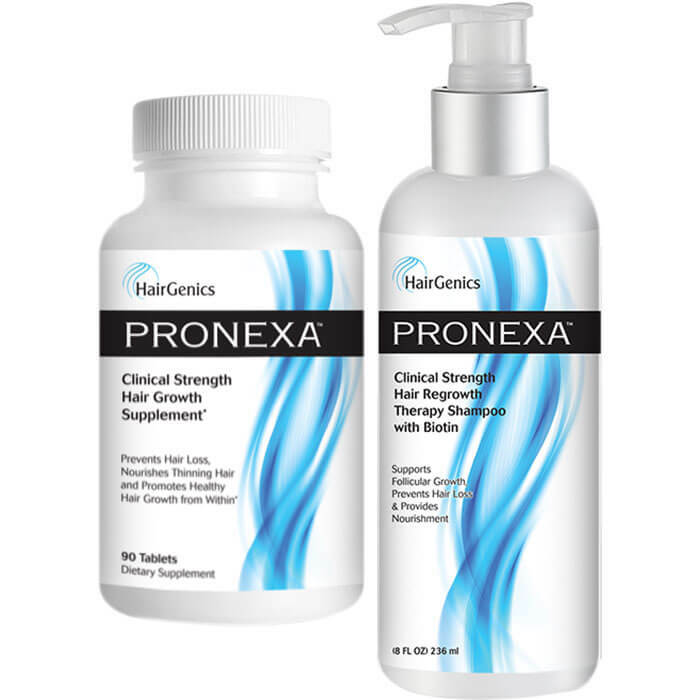 Combining our two Pronexa hair growth products in a package deal, the Hairgenics Hair Growth System is sure to provide immediate and ongoing results while also helping customers save a bit a money off the both of the individual products. 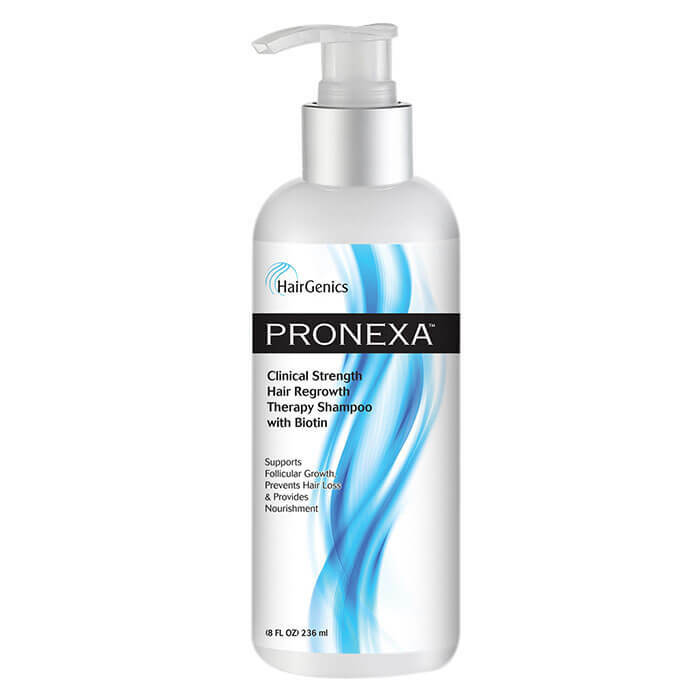 Hairgenics Pronexa Clincal strength therapy Shampoo and supplement work hand in hand to produce the healthiest, strongest, thickest hair growth of your life. I was using just the shampoo for a couple months and when I came back to buy more (I LOVE THE SHAMPOO BTW) I decided to pick up this combination of the supplement + the shampoo.